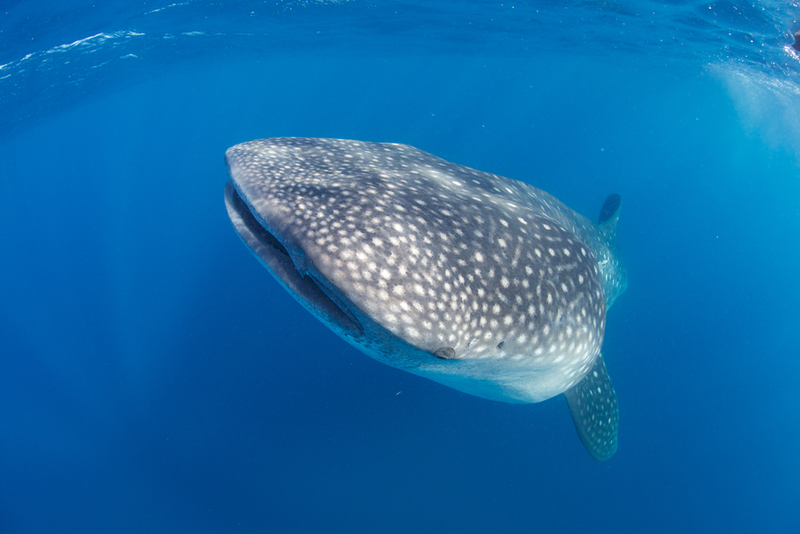 Interact with two of the ocean's mightiest creatures, Great Whites and Whale sharks, in a unique and absolutely thrilling Mexican journey. This is a rare opportunity to explore both the Caribbean and the Pacific, indulging in the very best diving and snorkeling experiences. 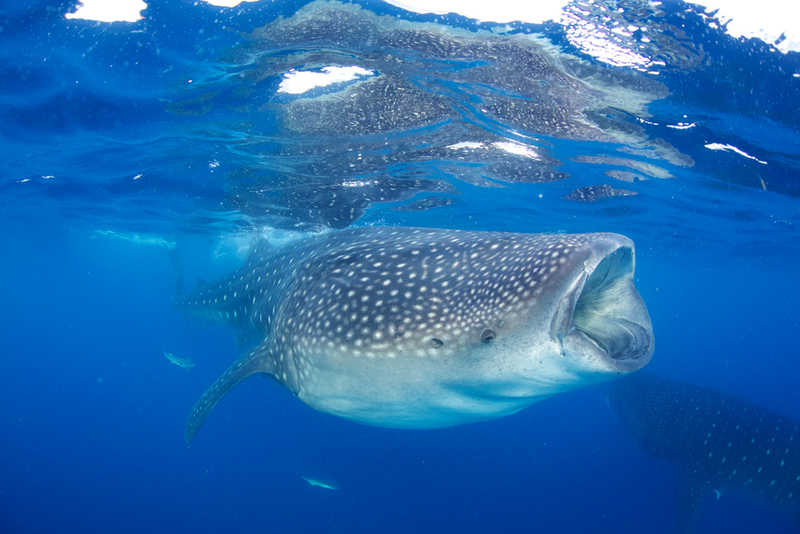 Be guided from land to sea, where hundreds of Whale Sharks, Mantas and Mobula rays congregate to feed in the warm waters off Isla Mujeres, an underwater spectacle not to be missed. 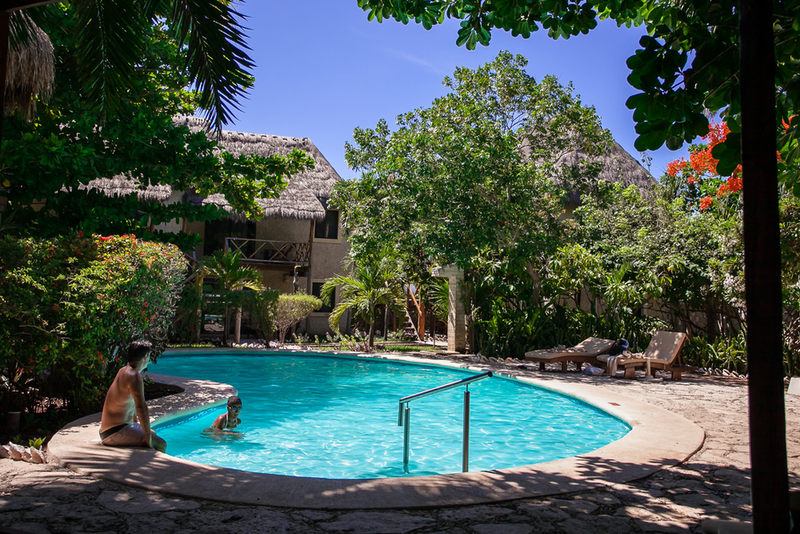 Explore the Mayan ruins of Coba and Tulum, steeped in ancient cultural and archaeological significance, while staying at a lovely beach resort in charming Tulum. 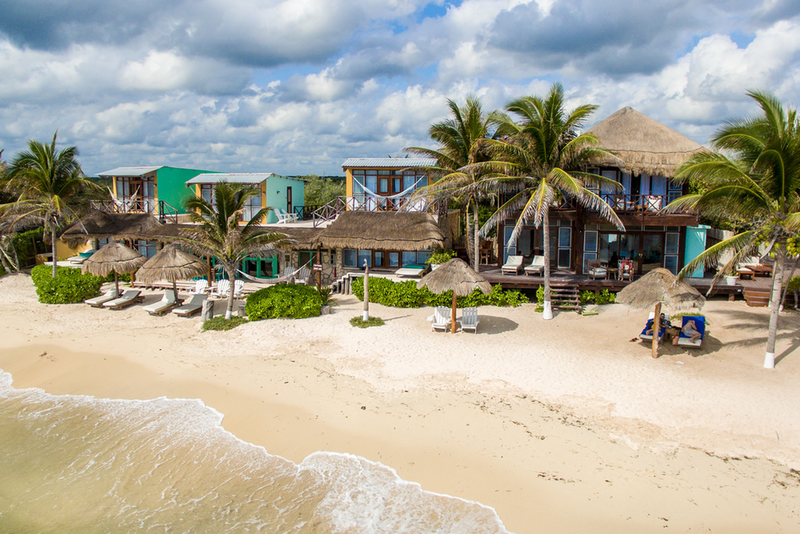 Dive and snorkel the crystal clear ancient Mayan wells and underwater passageways of the Cenotes caves before traveling to Guadalupe Island, a tiny spec in the Pacific Ocean, for the ultimate ocean wildlife experience. Relish three days in crystal clear waters with high concentrations of Great White sharks. 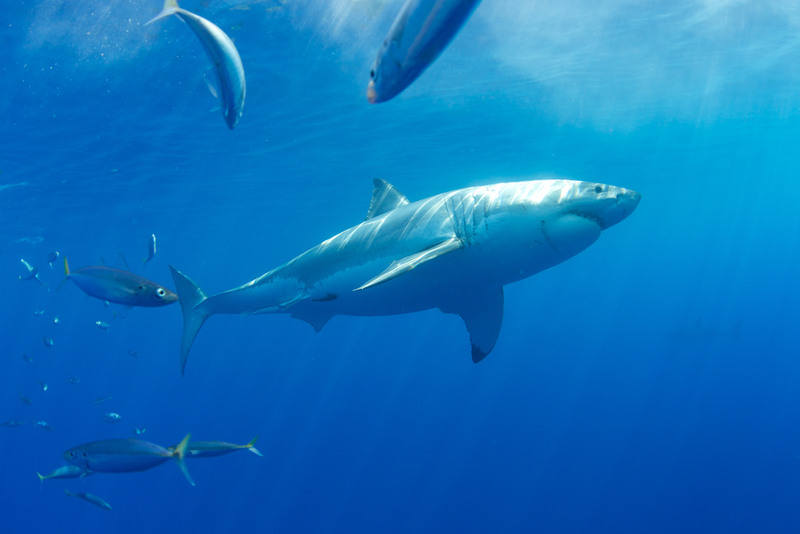 Guadalupe is regarded as the best location in the world for viewing and photographing this Apex predator. 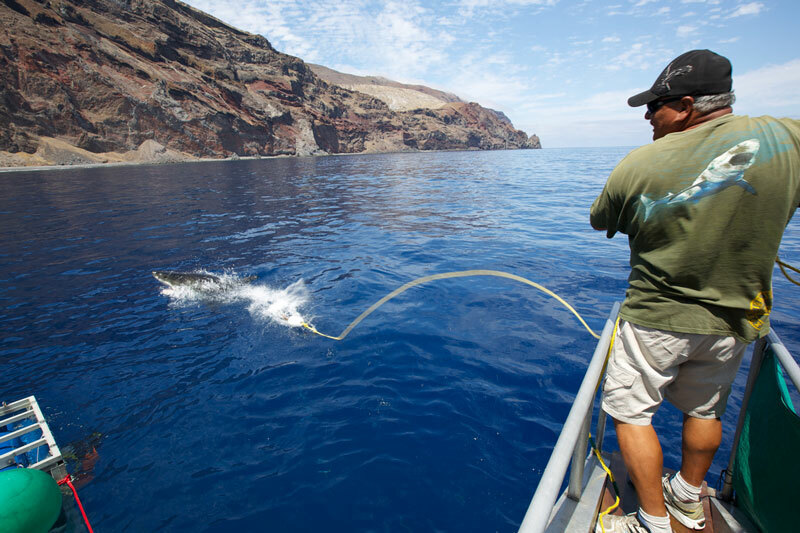 Calling all big blue pelagic enthusiasts, join the Post Extension to La Jolla, California for a Blue Water Shark and Pelagic Safari. 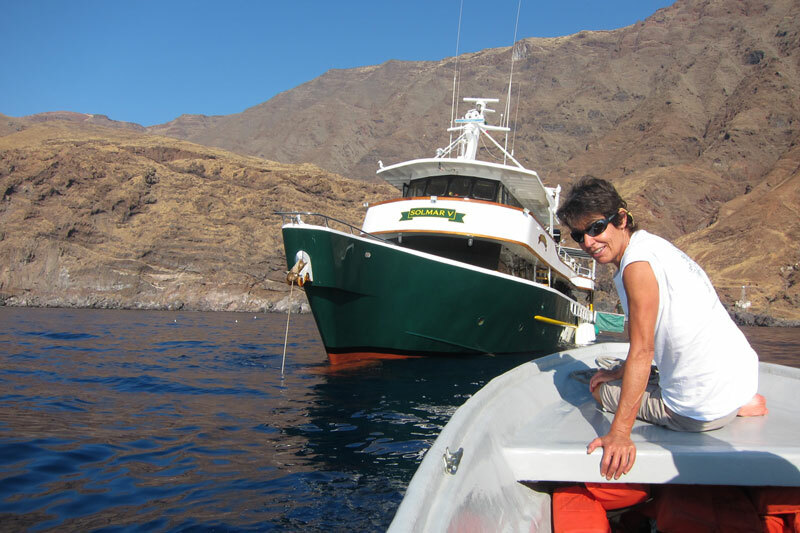 Experience “deep blue” cage-less snorkel encounters with Mako sharks and Blue sharks, search for pelagics like the mysterious Mola mola, explore the life-rich kelp forests featuring playful California sea lions and the bright orange Garibaldi and snorkel with pregnant Leopard sharks. 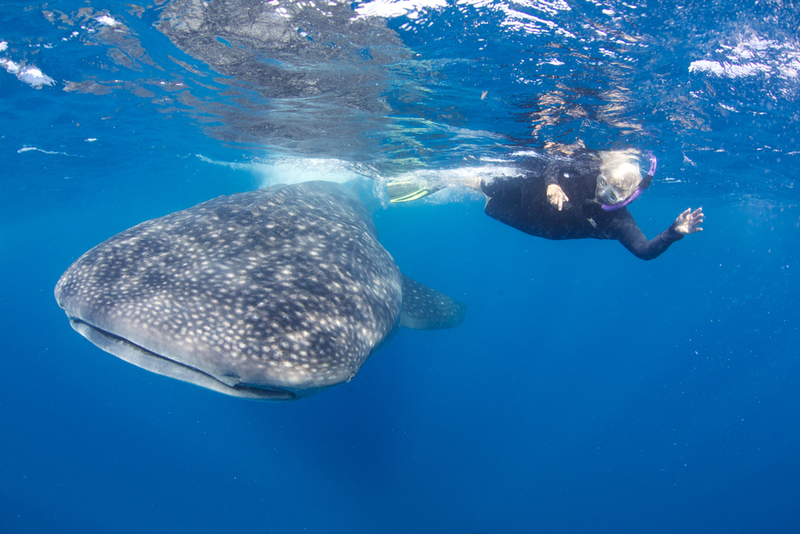 Snorkel with the worlds largest aggregation of feeding Whale sharks and Manta rays. 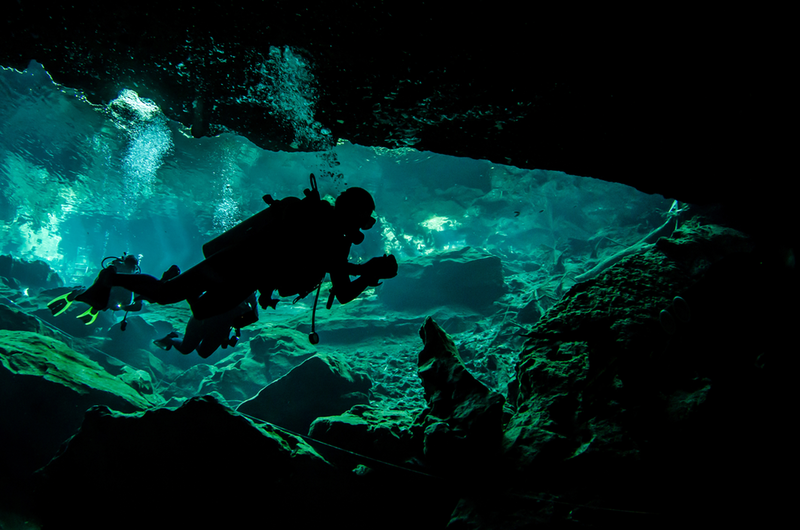 Dive and snorkel the crystal clear Cenotes, one of the world's most intriguing underwater ecosystems. 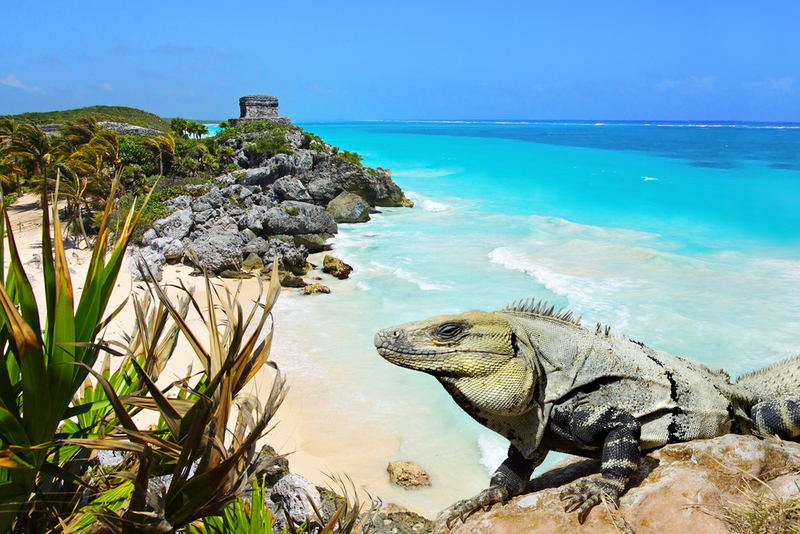 Enjoy the stunning white-sand beaches and turquoise waters of Tulum. 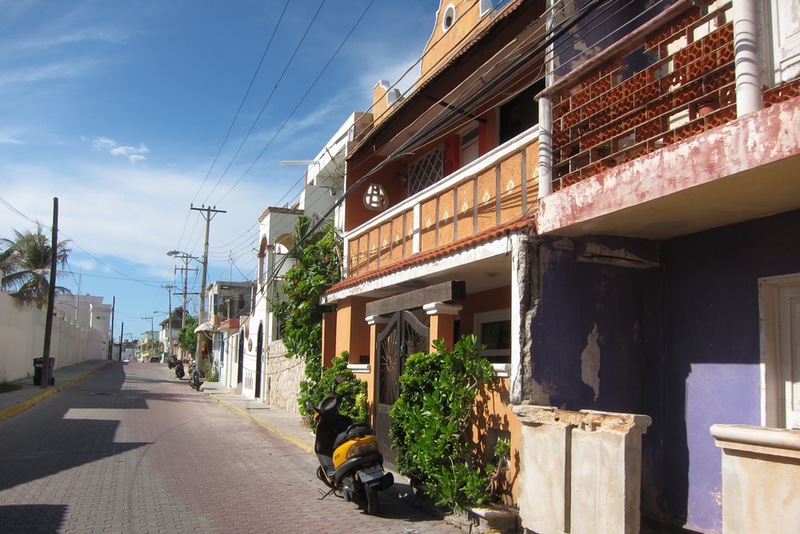 Wander the Mayan ruins of Coba and Tulum, with breathtaking views of the Caribbean and the jungle. 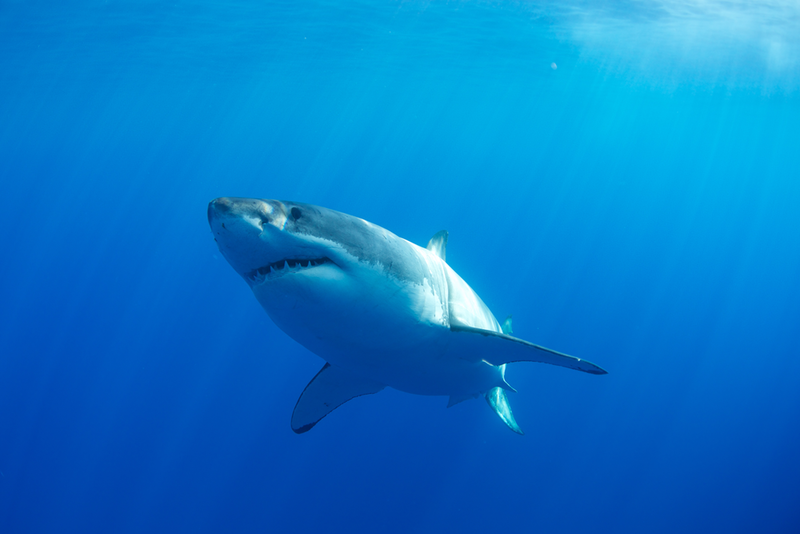 Up close encounters with the ultimate Apex Predator, the Great White shark. 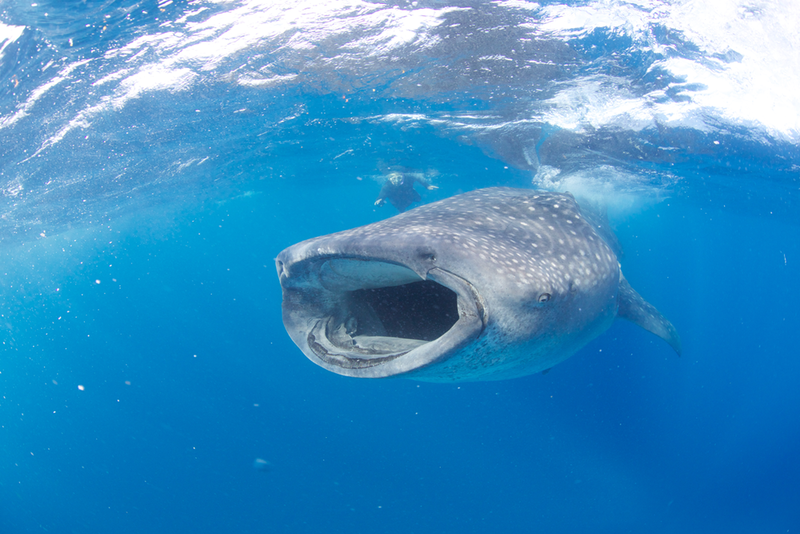 Swim with Makos, Blue sharks, Leopard sharks and Mola mola off the California coast. 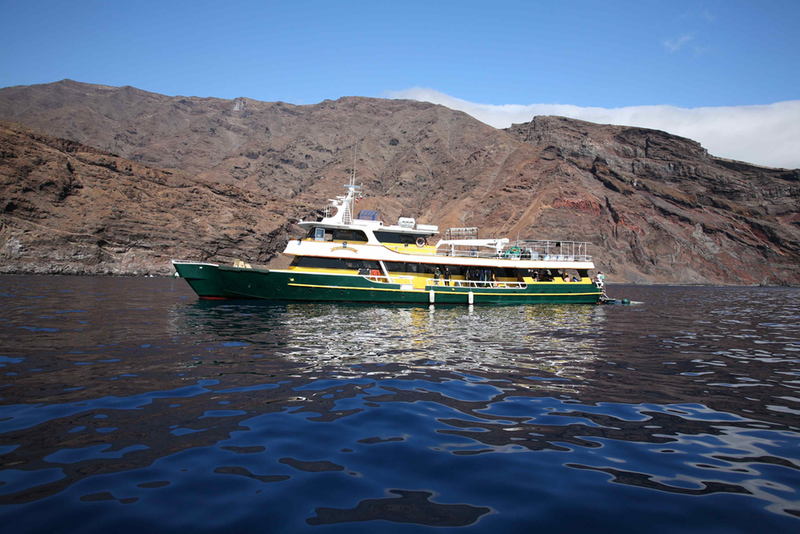 The MV Solmar V is a beautiful live-aboard dive vessel with a crew of 10. 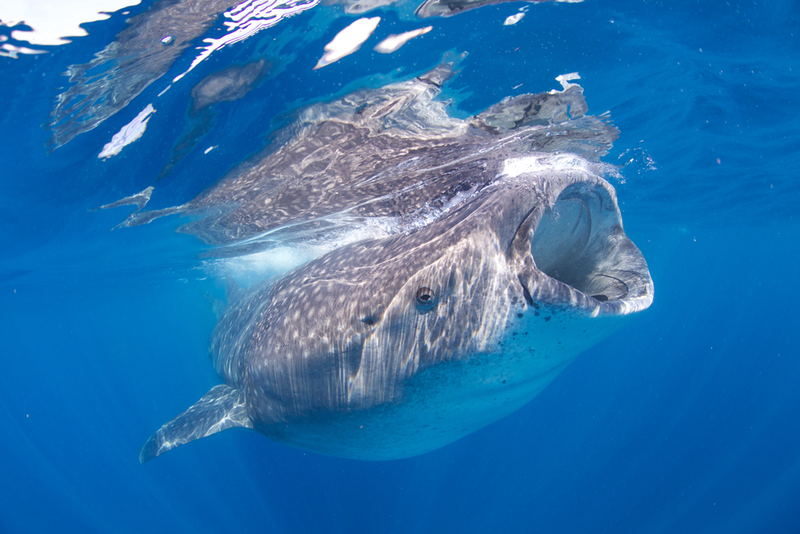 They are the most experienced shark operators working the Mexican Pacific coast and especially Guadelupe. The interior is outfitted in brass, rich mahogany, granite table tops and is completely carpeted. The salon is very nice and has a large-screen Plasma HDTV. The Staterooms onboard the MV Solmar V are small but very comfortable and have a larger bottom bed plus a bunk bed on top. 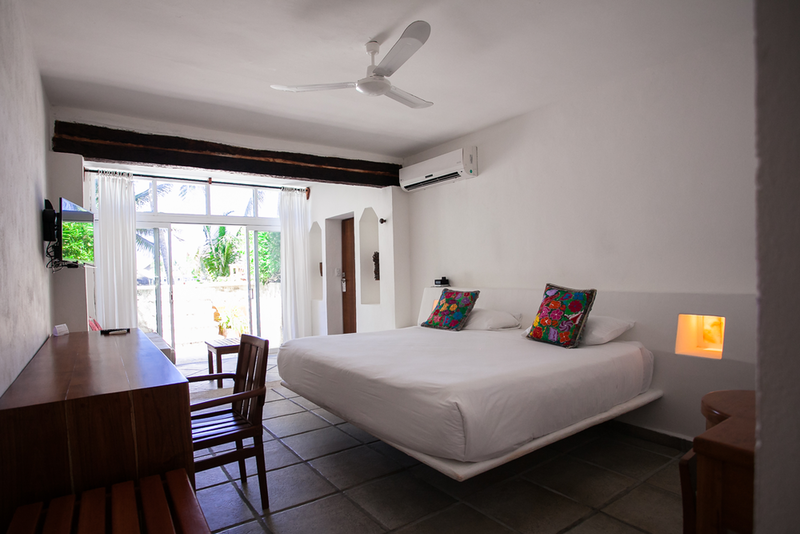 All staterooms have top-of-the-line mattresses and down pillows, controllable air-conditioning, a TV/DVD player and a small private en-suite bathroom with toilet, shower and sink. Please remember apart from sleeping you will spend no time in your cabins. There’s a nice covered sun deck on top with deck chairs to relax in between shark dives. 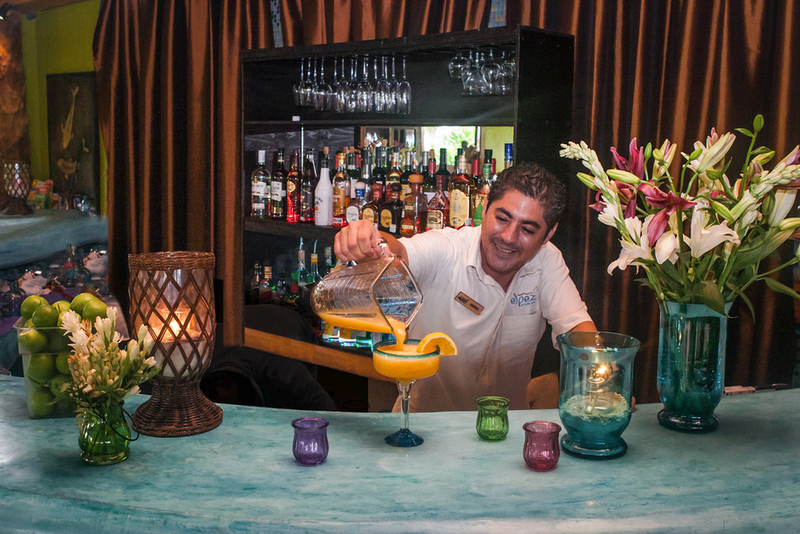 The food onboard the ship is great and they make a mean Margarita ;-) The ship has side scanning sonar, multiple radar systems and the most modern electronic marine technology. Twin compressors, with cascade storage for fast filling, provide guests with an endless air supply. 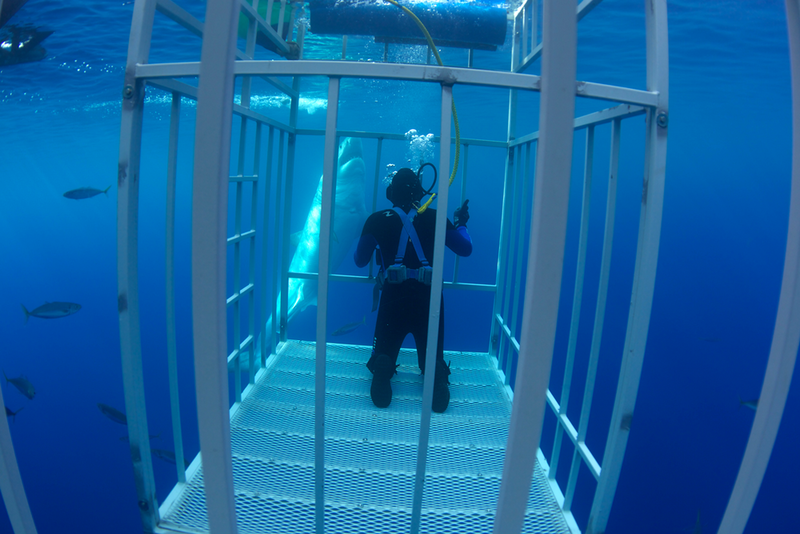 When visiting Guadalupe Island all the diving is done in cages. 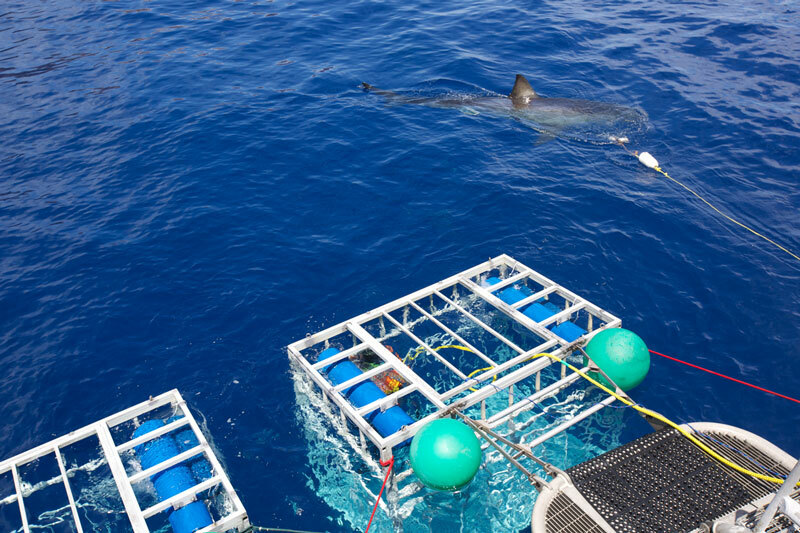 We will use the MV Solmar V’s three spacious state-of-the-art shark cages; two four-person surface cages are connected to the swim platform using a proprietary system for stability and one three-person submersible cage that is safely lowered to 30 feet using a 4-ton crane. The submersible cage gives divers a very different perspective and is very popular with certified divers. Air for all cages is surface supplied so you don't need a tank. SCUBA CERTIFICATION IS NOT REQUIRED FOR THE SURFACE CAGES making this trip available to anyone including snorkelers! Also enjoy a boat ride around the island to see the seals up close. 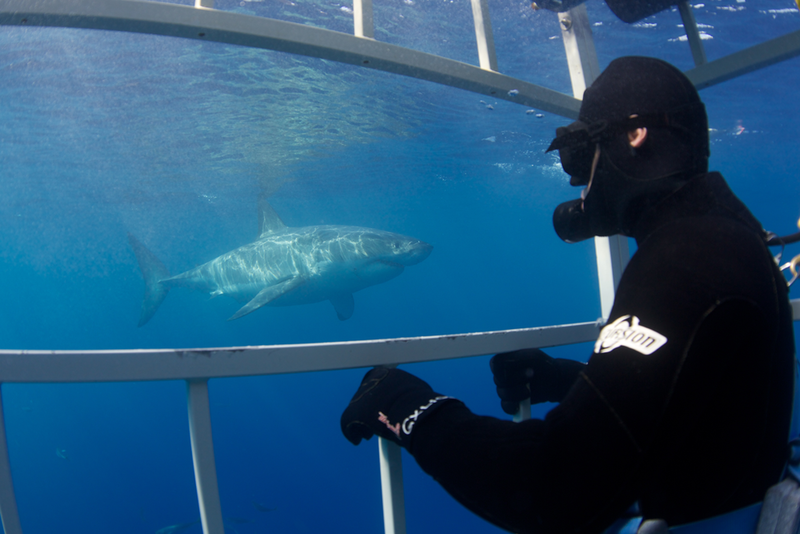 The cage diving at Guadalupe is bar none the greatest on the planet, with up to 100 feet + of visibility! The water temperature ranges from 65-70F degrees which along with the incredible visibility makes Guadalupe the ultimate White Shark destination. WATCH this short video clip on the Solmar V for an introduction to the ship and the unique experience with Great White sharks.